"This is a Holocaust memoir unlike all the others out there. It offers not just a perspective on what happened during such a terrible time in history, but a feminist view on the subject. 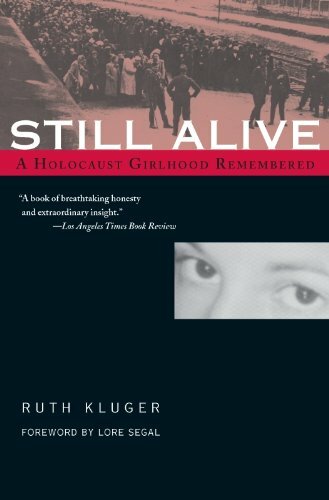 Kluger remembers the Holocaust in a style that is almost conversational, as though she is still trying to understand what happened as she was writing. Her attempts to understand help us to form our own opinions. Beautiful and awful. If you have any interest in the subject, you must read this." Section Biography / All Staff Suggestions / Non-Fiction Suggestions / Audrey S.